In addition to making Pinot Noir and Chardonnay for Garnet Vineyards, I consult for a wide array of wineries and brands around the state of California. Every Harvest I crush quite a few tons for my clients and work out of a number of wineries from Napa to Sonoma to the Central Coast. You could say I get around. What that means is, aside from seeing some beautiful scenery and getting to work with a lot of wonderful people, I get a pretty good view of what happens across the state during Harvest. You’ve probably already heard the chatter: “Early.” “Fast.” “High Quality” (the latter the standard rote from all of the regional vintners’ associations.) However, you may not have heard all that I did as I traveled, worked and shared the occasional beer with my grape-growing and winemaking colleagues during this fast and furious crush season. 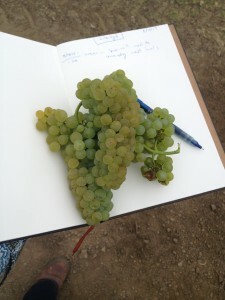 Below are some lesser-known bits of winemaking insight and what they might mean for the developing wines of Harvest 2014. 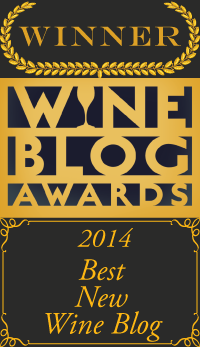 Russian River Chardonnay remained tight and firm and was about two weeks later than normal. In the North Coast, where I live and where my operations are based, Chardonnay was actually quite late. I got into the bulk of my Russian River Chardonnay only after I started pulling in Alexander Valley Cab, which in ten years of working with my current slate of vineyards has never happened. 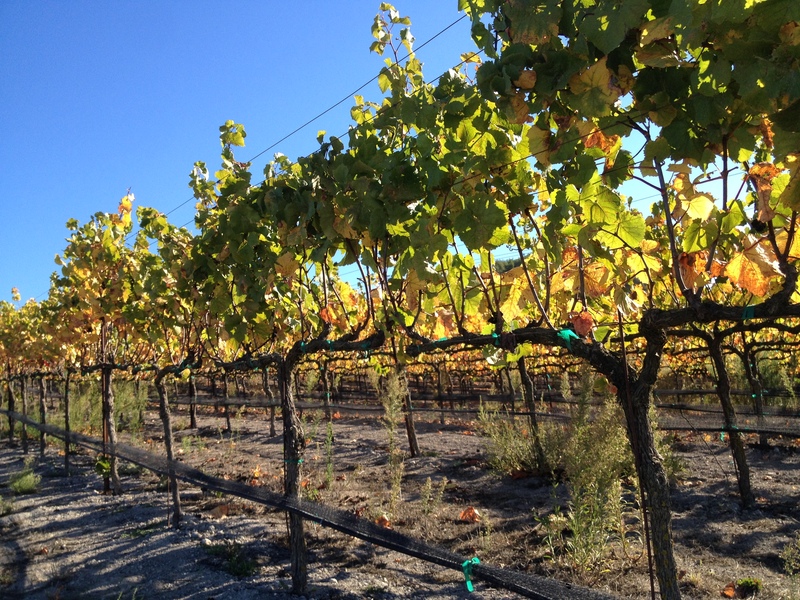 On the Central Coast last week I had friends that were still waiting for some Zins and Carignane to ripen, which is odd for their relatively warm Paso Robles climate. Here in Napa, one of my Oak Knoll Cabernet vineyards which is typically among the first to come in was one of my last this year, as I waited longer than anticipated for the flavors to really “pop”. The consequences of this atypical ripening pattern were largely twofold. First, wineries had a bit of a tough time pressing finished red fermentations while pressing incoming whites. Unless you have multiple presses (or want rose wine) you have to carefully clean red skins from the press before loading in white grapes. This, coupled with cellars already crowded with wine from the bountiful 2012 and 2013 vintages made for tight quarters, long hours and frazzled nerves. So far from what I’ve seen, wineries pulled off miracles but it makes me wonder if all winemakers got their fruit processed exactly when they desired. Secondly, the flip-flopped ripening order made 2014 a year where, especially, you had to be in the vineyard early and often to determine the perfect “pick window”. This Harvest’s ideal moment for picking any given block was unpredictable and it’s likely that winemakers who just relied on Brix reports (and didn’t even visit the vineyard until sugars hit 25.0) missed it. Color, flavor and tannins were in perfect balance two-three weeks earlier than normal, especially for Pinot Noir and Merlot. Looking for “lower alcohol” red wines that might clock in at 13.0% rather than more typical levels above 14.50% alcohol? 2014 might be a year to watch from your favorite producers, especially those who make Pinot Noir as well as Napa and Alexander Valley Merlots. These varietals came in from my vineyards up north and on the Central Coast at record early dates and most had reached full flavor and tannin maturity at brixes well under 25.0. 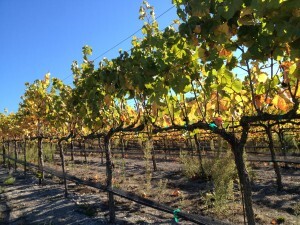 Pyrazines (a dreaded “bell pepper” aroma indicative of unripe Cabernet and Merlot) even disappeared early, further indicating a high-quality, lower-brix pick date. I attribute all this to the warm, largely frost-free growing season we had on the North and Central Coasts as well as some propitious late winter rains that helped keep soil profiles relatively full except in the driest spots. 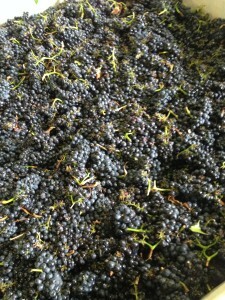 Stanly Ranch Carneros Pinot Noir at 23.8 Brix on August 28th? Flavors were there, the balance was there, and tannins were ripe so I ignored the calendar and picked it. Based on what I just tasted in barrel yesterday, another year from now I know I’ll still be glad that I did. The grapes are off the vines. Time to bring on the rain. A major mid-October rainstorm in Northern California would normally be call for alarm during any typical Harvest season. Instead of worrying winemakers in what would usually be the height of the picking panic, the high probability of a few wet days this week is being welcomed by almost everyone I know. Unlike most years, just about every grape is in the barn, happily fermenting away, or just scooting in before tonight’s predicted raindrops are slated to start falling. Like “noble rot” dessert wines, those which get their concentrated sugars and distinctive, luscious flavors from indigenous vineyard molds? This extra moisture will surely encourage the growth of Botrytis cinerea and wines from producers like Napa’s Oro Puro and Foley Johnson should be especially fabulous from the 2014 season. So believe the hype. 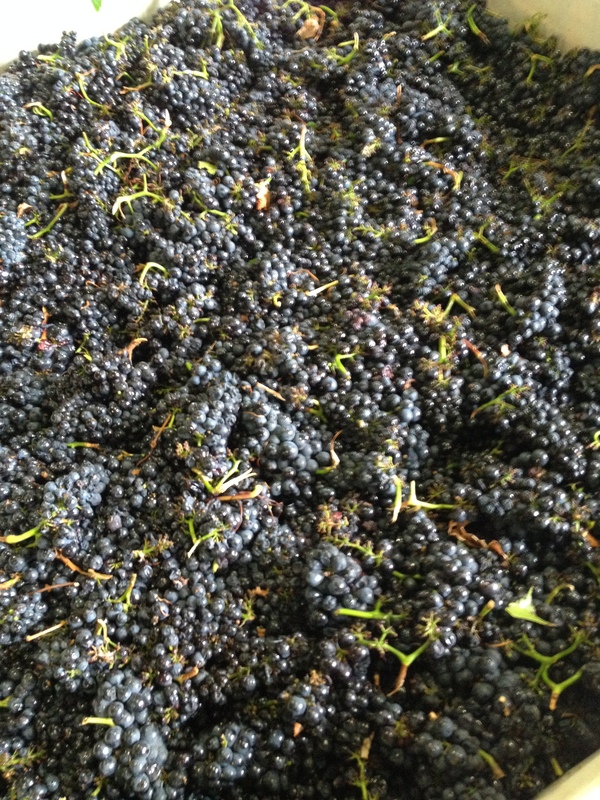 Harvest 2014 was early (mostly). It was also fast, unless you’re still hanging your Semillon waiting for Botrytis to cover your clusters with a fuzzy grey blanket. And yes, you can believe the vintners’ associations too. I don’t know how we got off so easily, but statewide, Mother Nature blessed us with a flavorful, colorful, high quality Harvest- for a third time in a row. Now let’s just hope she comes through with a really wet winter. 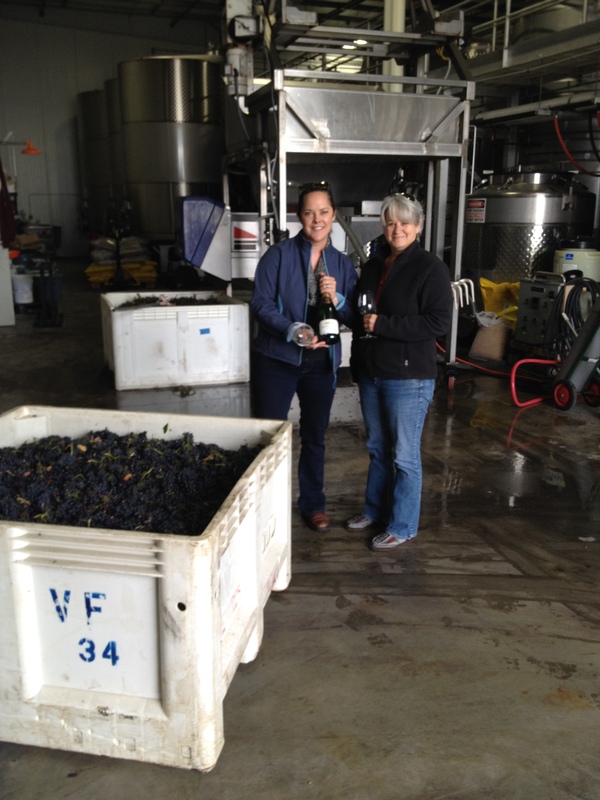 Alison Crowe is a winemaker based in Napa and can be reached at ancrowe@hotmail.com and at LinkedIn.